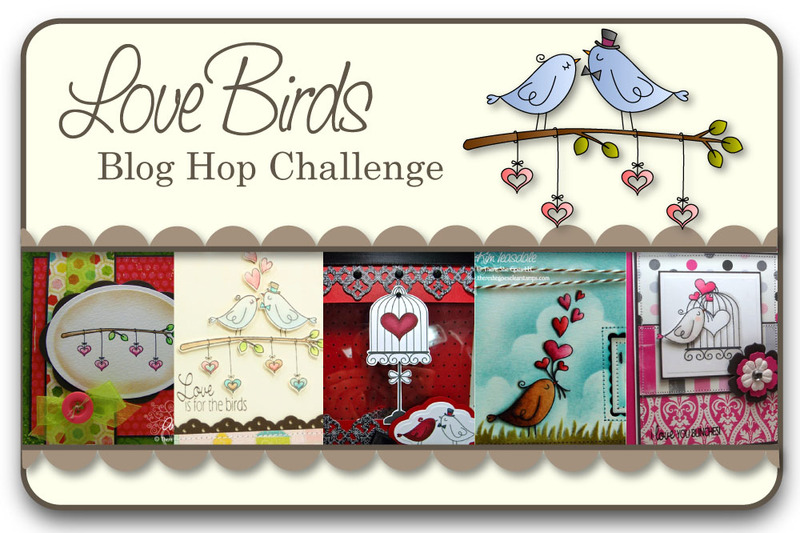 TSG Dec Blog Hop Challenge - Day One! Did you make it here from the TSG blog?? If you did, you're right on track because I am the first stop on the hop! whoo-hoo!! Welcome to the first day of our TSG sneak peeks - I am buried under piles of NYC snow but I am so excited to play along today! I hope you're all staying warm and cozy, and if not, this hop will just warm you right up with the absolutely adorable new set we are showing off today!! This set, Wonderful Winter Wishes is illustrated by the super-talented Torico, and it is just too stinkin' cute for words!! It features images of little ones enjoying the snow, and celebrating winter! I think it's perfect for any occasion and it's sure to bring a smile to anyone's face! Isn't this cuuute?? I used Mercy's MTSC105 for this fabulous layout, and it worked perfectly with this adorable image!! This gorgoeus patterned paper is from Basic Grey's Curio Collection. I colored my image using Copic Markers and added some distressing all around my panels using Walnut & Vintage Photo distress inks and added some Soft Sky blue throughout just to soften it up a bit. I added some Pearl Lace stickles to my little girl's "fuzzy" pop-poms and hood, and finished up my card with some stitching, a little bow and a couple of green pearls. Now the really fun stuff - how would you like a chance to win the “Wonderful Winter Wishes” stamp set??? For a chance to win, just go to each of the Trendsetter’s Blogs and leave a comment on their “Wonderful Winter Wishes” Blog Hop Challenge post. After you have finished checking out the eye candy and have left some love, return to the TSG Blog and add your name to the Mr. Linky at the bottom of the Blog Hop Challenge post which has all the other little details you need to know! I hope you're all ready for the weekend, I know I am!! Today I am sharing a fun "dollar spot" project over at the TSG Blog. I hope you check it out, and enjoy! I'm popping in to let you guys know I am sharing a fun little tutorial over at the There She Goes Blog for this week's Wednesday Trends! I call this technique "Copic Watercoloring" and I promise it's super-easy and you'll love the end result!! I used my Season's Greetings stamp set, and paired it with some more of the delicious Waiting for Santa paper from Webster's Pages. I added some Butterscotch and Espresso Dimensional Pearls to my image panel and my die-cut border, and finished up my card using some deep-red taffetta ribbon and a vintage button. Isn't it just delish?? I hope you check out the tutorial and you give this easy technique a try!! I am so excited because today I have the honor of being in the spotlight over at the TSG Blog!! Sooo exciting!! I have to say that lately I've been having so much fun playing with my newest There She Goes stamps, and I couldn't wait to pop in and share this fun card!! Look at this stinkin' cute penguin!!! Could you just squeeze him, he's so cute!! You can find this little guy in the brand spankin' new Penguin Pals stamp set, and I decided that he could be cute but a little vintage too!! I colored him up using Copic Markers and double-mounted him to give him a little extra dimension over his "snowy" background. I sponged my image panel and added some Icicle and pale pewter stickles for a little extra bling! All of my layers are sponged using Vintage Photo Distress ink, and as for my patterned paper (HOW gorgeous is it??) it is from the Webster's Pages Waiting for Santa Petite Papers Collection. I finished up my card by adding some stitching and a little satin bow - super quick & easy!! Thanks so much for stopping by today!! If you have some time to play, I hope you play along with my challenge this week for TSG!! TSG85 - Use your stash!! Just had to pop in here to let you guys about a fabulous challenge over at the TSG Blog hosted by yours truly! This week we are all using up our "stash" - so if it's older than 6 months, and you're just hoarding it - start using it up!! Check out the TSG Blog for some gorgeous eye candy and for full details on this week's challenge! For my card I used this patterned paper which is not exactly geared towards the holiday, BUT paired with my gorgeous Just for You stamp set, it becomes a fun addition to my Holiday card, and besides I just love the vintage look it gave my card once I distressed it and inked it up a bit! I also used up a couple of these Prima Leaves which have been in my stash since Nixon was President...(I wish I was kidding!)... anyhoo, as you can see it's perfectly acceptable to actually use the stuff we all buy and hoard!! You do not need to have a blog to be able to participate in the TSG Challenges! You can simply add the URL link from your project after it has been uploaded to your online craft gallery. If you upload your card to an online craft gallery, please use the keyword TSG85 so we can check out your beautiful work. This week's challenge is open until the winner has been announced on the following Monday (Dec. 20th). The winner will get a $5 gift certificate to use in the TSG Web store - whoo-hoo!! TSG - Preview Day Three Blog Hop - Seasons Greetings! Can you believe you get to check out some turkey, stuffing, pie AND new stamps today?? How lucky are we?? I hope you started your voyage at the TSG Blog - if so, make yourself at home 'cause you're right on track!! if not, be sure to start on over there, so you can get all the fabu-details on the stamp set being previewed today!! Today I'm sharing a little peek at the gorgeous projects the Trendsetters have put together using today's extra-special stamp set!! Well, how would you like to win this lovely stamp set??? All you have to do is go to each of the Trendsetter’s Blogs and leave a comment on their Season's Greeting Blog Hop Challenge post. After you've left some love all along the way, head back to the TSG Blog and add your name to the Mr. Linky at the bottom of the Blog Hop Challenge post, where a random winner will be chosen on Saturday, Nov. 27 during the Release Party Chat!! Easy right?? Your next stop on this Seasons Greeting hop is Angela's blog, so have yourself some fun!! Thanks for stopping by and have a wonderful Thanksgiving!! TSG - Preview Day Two Blog Hop - Penguin Pals!! Welcome back for Day Two of the There She Goes Blog Hop Challenge!! If you arrived here from the TSG Blog, you're right on track!! if not, be sure to start on over there, so you can find out the fabulous NEWS in store for you today along with all of the details on the stamp set being previewed today!! I'm back today to show you a quick peek at the gorgeous projects the Trendsetters are sharing with you today!! See what I mean?? eeeek!! How fun are these cuties?? I know you wanna win this stamp set right? well it's pretty easy - all you have to do is go to each of the Trendsetter’s Blogs and leave a comment on the Penguin Pals Blog Hop Challenge post. After you've left some love all along the way, head back to the TSG Blog and add your name to the Mr. Linky at the bottom of the Blog Hop Challenge post, where a random winner will be chosen on Saturday, Nov. 27 during the Release Party Chat!! Easy right?? Off you go then!! Hop over to Angela's blog to continue your little "penguin hop-along!